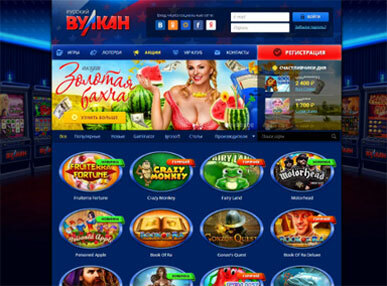 Previously owned by Virtual Group, this Canadian online casino is now operated by Paxson Marketing Ltd and licensed by Kahnawake Gaming Commision and has been around since 1999 and brings a slick, smooth style to the world of online gaming. Silver Sands Casino rolls off the tongue and its design and layout complements its name with a smart, classic look reminiscent of casinos from back in the day. Silver Sands Casino is one of the favourites of Canadian online casinos and you can access the games here online or via download, where the mobile apps are personalised to your smartphone device. The gaming selection is excellent and the progressive jackpot wins can have you logging off with a smile on your face. The online and download gaming selection at Silver Sands Casino is very impressive, especially when it comes to video poker. Operating on RTG software, they provide a user-friendly interface, high quality graphics, and multi-table gaming options. There are over 300 games to choose from with more being added regularly. You can opt to play for fun or for money once you’ve got the hang of a game. The slick style of the site conjures up a sultry environment of whiskey, cigars, and the soft clicking of rolling dice, so it’s no wonder poker is their forte. There are 40+ poker variants including All American Poker, Joker Poker, and Aces and Eights. You’ll find just about every slot game you want, from 3 reel classic slots, 5 reel video slots, and 6 reel variants. Favourite titles include Double Ya Luck, Lucky 6, and Big Bopper. For those who prefer the slower, classic elegance of table games, there are many variants of blackjack, pontoon, baccarat, and others to throw yourself into. Other games include craps, keno, Treasure Tree, and progressive jackpot games, for those who want to play hard and win big. The welcome bonus at Silver Sands Casino consists of a generous sum of ZAR8800 up for grabs based on the first three deposits you make. Sign up for a real money account and deposit a minimum of R100 and you’ll get 100% matching bonus up to R1888 on your first deposit, 75% matching bonus up to R3000 on your second deposit, and 50% matching bonus up to R4000 on your third deposit. As well as a generous welcome bonus, Silver Sands Casino offers plenty to keep its members hanging around. Sign up to their email subscription and stay in the know about their weekly promotions offered every Wednesday, Thursday, and Friday. Cash in on their Cash Back Monday where a minimum deposit of R1000 gets you up to 40% back on all losses, and take part in slots tournaments to win prizes for being top of the leader board. Their points system means you can win points every time you place a wager. These points then add up and can be redeemed for cash prizes. Accepted payments include major credit cards, wire transfers, secure instant deposit as well as E-Wallets Skrill, Neteller, and EcoPayz. The minimum withdrawal depends on the payment method and are around R500 and the maximum is R10,000 a week. Deposits are processed instantly and withdrawals also vary, but usually take around 3 working days. Silver Sands Casino has been around for a while and remains one of the favourite online casinos in Canada. The selection of games is extensive, with good graphics and animation. The options for instant and download play are great the the design is easy on the eye and brings old world class back to online gaming.